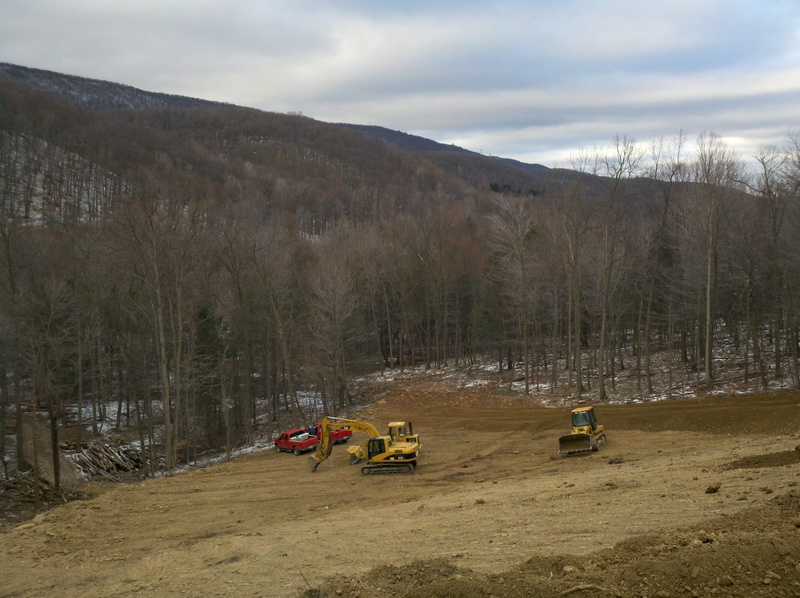 Simondale Excavating is doing an excellent job of leveling some ground on a hillside. 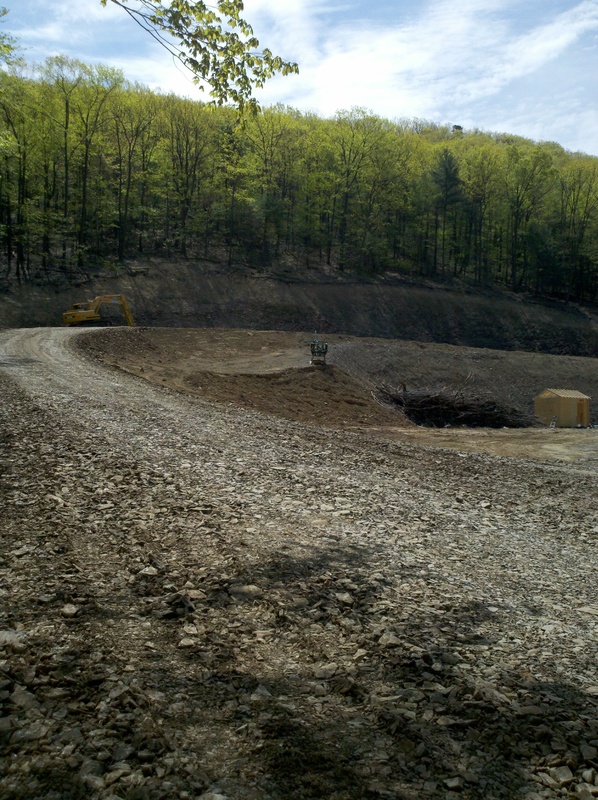 If you need any excavation work in the Altoona/Tyrone/Huntingdon/State College area (or nearby), do not hesitate to call Jim or Matt at (814) 632-8590. Upon meeting Jim Simondale and Matt Simondale, I was very impressed by their knowledge, demeanor, and interest in my project. I met with them 3 times on site prior to starting this project, and every detail has been covered as discussed. This may seem like a small thing, but I appreciated that all of their equipment (trucks, excavators, bull dozers, etc…) were newer models, very well maintained, clean (as is reasonable), and had their logo painted neatly across. All signs of being professional. Outstanding view from the top of the hill. 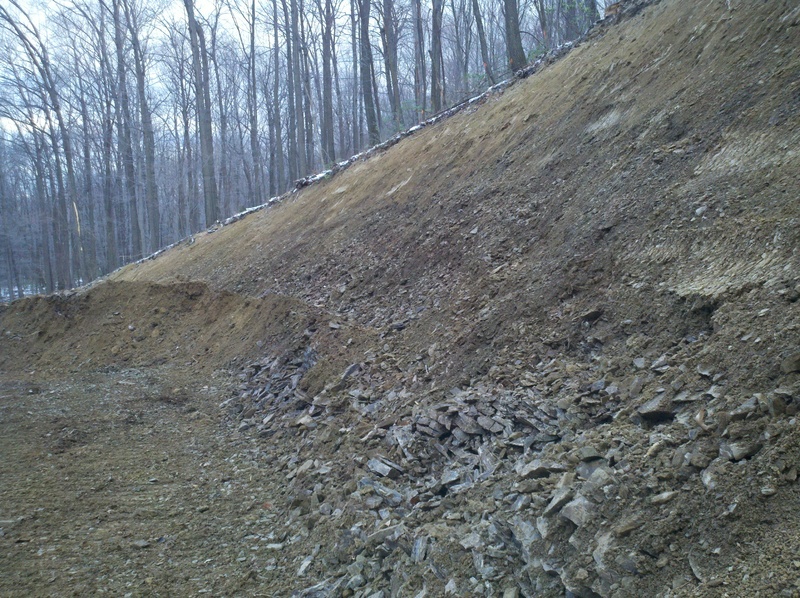 See how nice the grading of the bank is? All done with the large excavator pictured above. 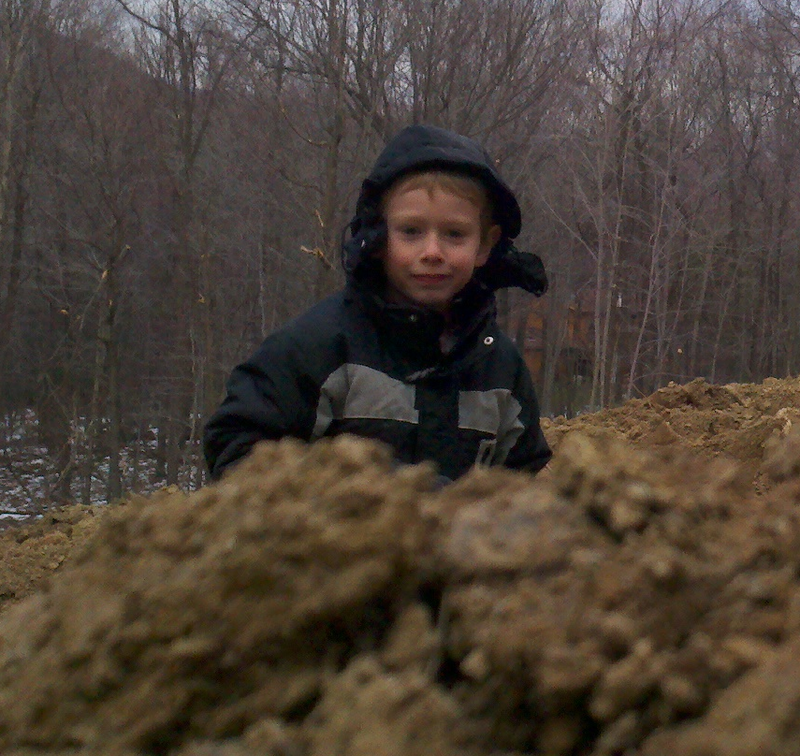 This entry was posted in Fun, Life, Nature, Photography, Projects and tagged Dirt, Excavation, Outdoors, Photographs, Winter. Bookmark the permalink.